Soup Restaurant – Nourishing Menu with Dishes About 500 Calories! 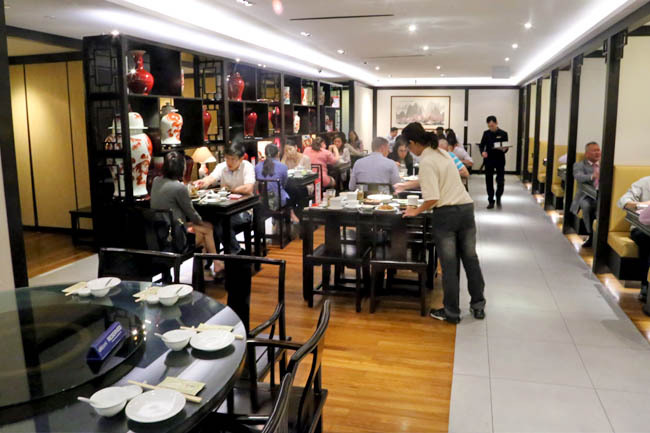 The very mention of Soup Restaurant, and a few of its signature dishes float in my mind, such as the Samsui Ginger Chicken, Tofu Prawns, Teochew Olive Rice, Ah Por Fan Shu Leaves and Double Boiled Soups. Its Samsui Ginger Chicken is a classic, a simple and sincere dish of steamed chicken wrapped in lettuce and complimented with ginger sauce that keeps me salivating. Hear the crunch of the leaves, feel the tenderness of the meat, and smell the fragrance of the sauce. Now, how about a much healthier version of this popular dish? 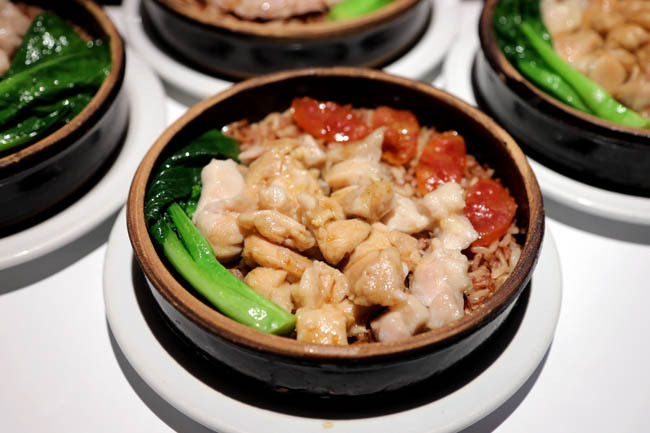 You can now savour their signature Samsui Ginger Sauce with juicy chicken thigh and choy sum on fragrant brown rice, all served in an earthen bowl. The better news is, the entire dish is only 434 kcal and cost a wallet-friendly $7.90. This is done in collaboration with the Health Promotion Board’s (HPB) Healthier Dining Programme which aims to increase the number of healthier eat-out meals by partnering with different food service providers to offer 500 calorie meals. 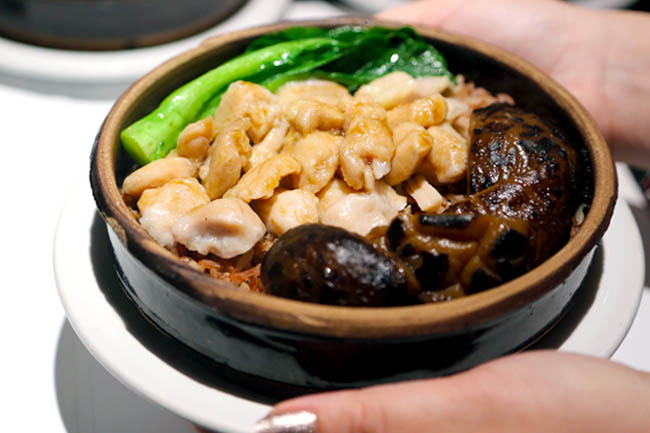 I was surprised that the other Earthen Bowl Rice were even lower in calories – the Chicken & Mushroom (387 kcal), Chicken & lup cheong (414 kcal) and with Hand-chopped Minced Pork (303 kcal). To let you have an indication, a Chicken Rice at the food court could be about 617 kcal, Roasted Chicken Rice is 660 kcal, and Claypot Rice with salted fish, chicken and lup cheong 613kcal (based on HPB’s iDat app.) 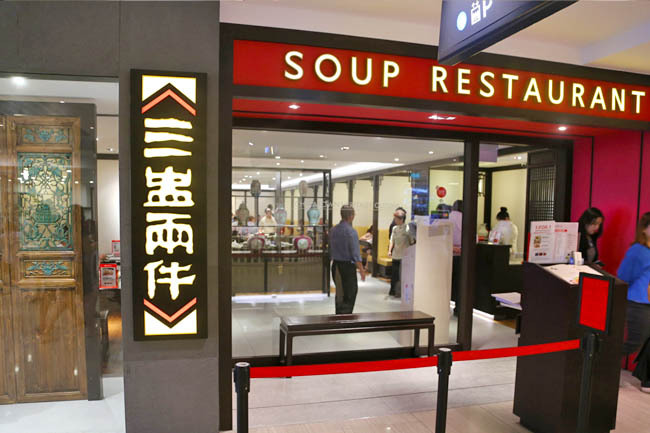 So Soup Restaurant’s versions have quite a bit of calories ‘saved’. 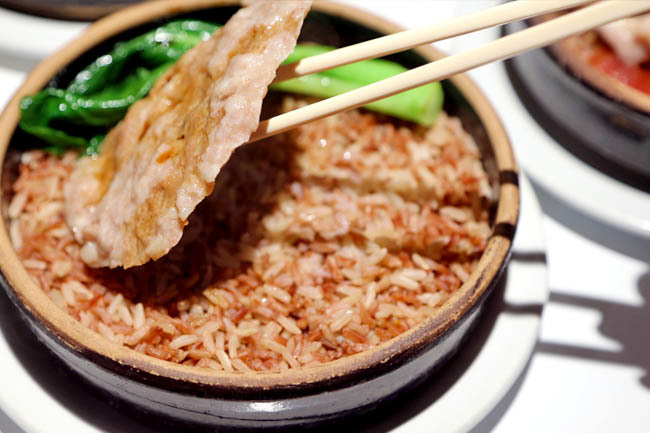 This is done by controlling the portion of items higher in calories, lessening on sauces while maintaining the great taste, and usage of multi-grain rice. I also tried two other dishes, a Braised Golden Sprout with Baby Cabbage (128 kcal) and Penang Fried Mee Suah (502 kcal). Mee Suah at 500 calories? Woh, how did they do that? 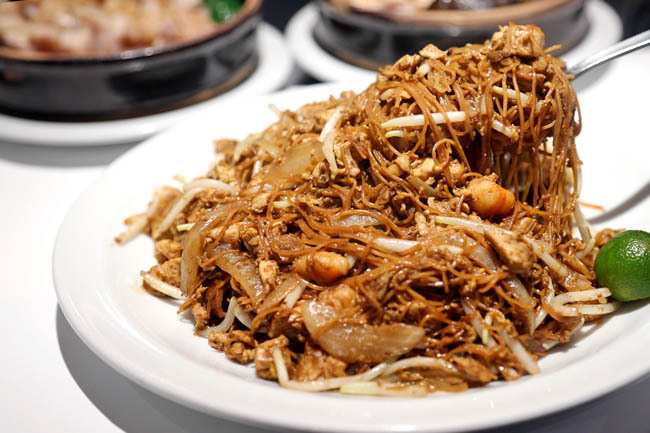 A Hong Kong noodles would have been about 694 kcal, and Fried Hor Fun 748 kcal. The Mee Suah was cooked zi-char style with generous ingredients, huge portions and wok hei. Though I did notice it was less oily than usual. To encourage customers to eat healthier, Soup Restaurant is offering a Nourishing Set Meal for 2 ($29.90) which includes 2 Earthen Bowl Steamed Brown Rice, 2 Double Boiled Cordyceps Flower with Chicken Soup and 2 brown rice tea. That is a really good deal. 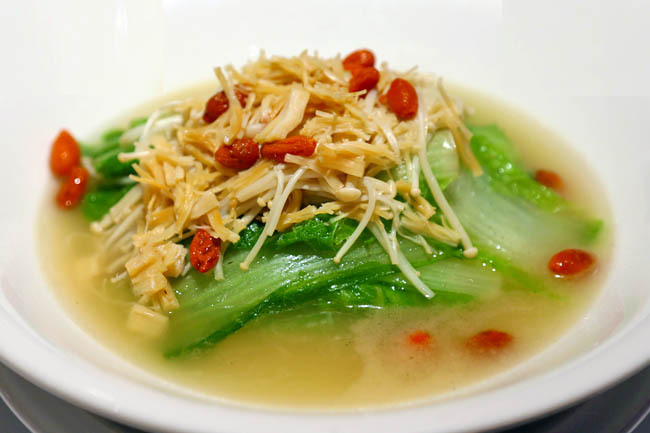 When customers order a Samsui Chicken till end July, you also get a complimentary lower kcal vegetable dish of Braised Golden Sprout with Baby Cabbage. I hear that a new menu is in the works and will be ready by end August. What is expected is an expansion of 30 of its dishes to fall under 250kcal, and broadening in selection of vegetable dishes. Now who says tasty food cannot be healthy and nutritious? They look like beautiful dishes, Daniel! And 500 calories sounds like a good amount for those of us who lead a fairly sedentary, office-based work life. Your post is also a great reminder of how nutritious and healthy most soups are!